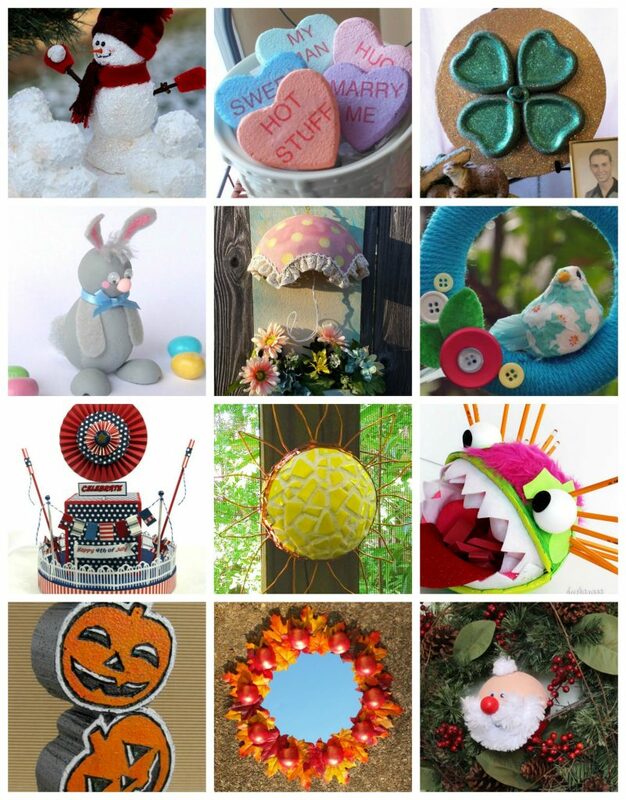 Craft projects for every month of the year! With beautiful images from last year’s calendar, I created this inspiring block of quotes for the new year. 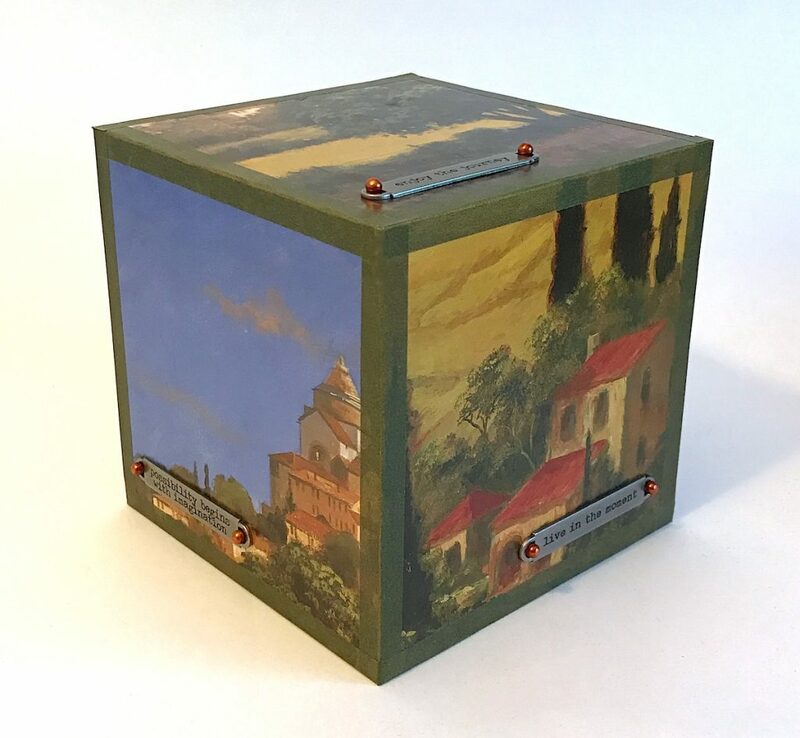 Each side of this 5″ Smoothfoam cube is covered with a lovely painted scene that just oozes fresh air and serenity. 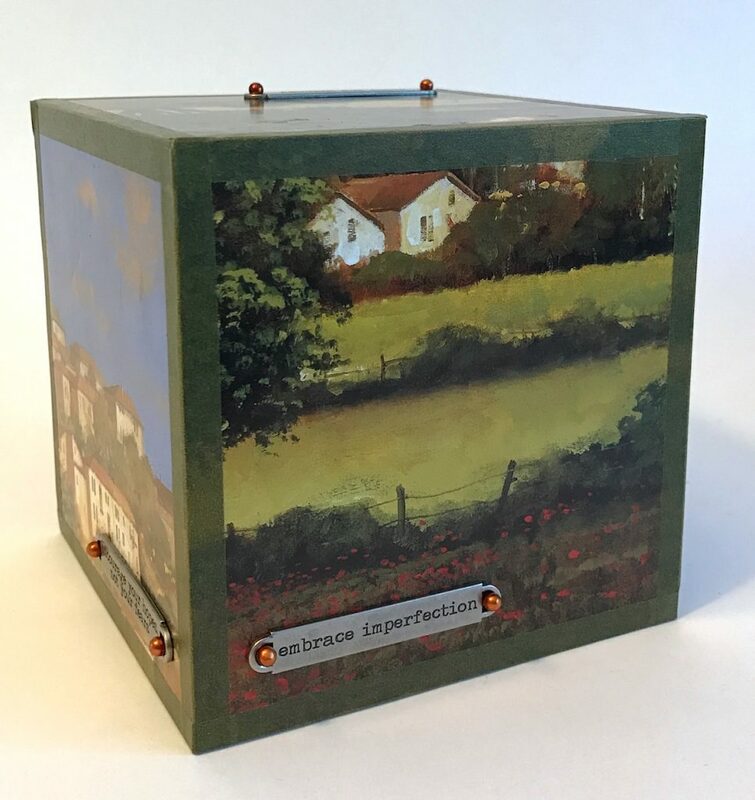 A glue stick and a paper trimmer is all you need to cover the block with images, then you can frame the edges with some coordinating washi tape. You can find a nice variety of small metal tags at the craft store, each engraved with a different meaningful sentiment. After dipping some pearl-head straight pins into copper alchohol ink, push them into the block to secure a tag on each side of the cube. 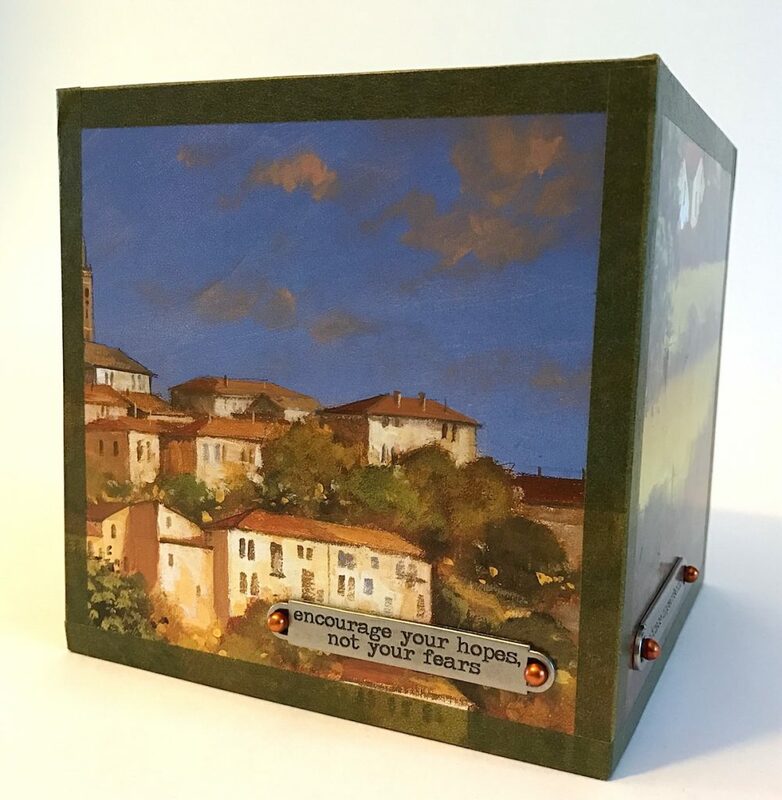 This easy DIY project adds character to your desk, coffee table or bookshelf – along with inspiring reminders for the new year. Smoothfoam letters are a great way to spell it out! 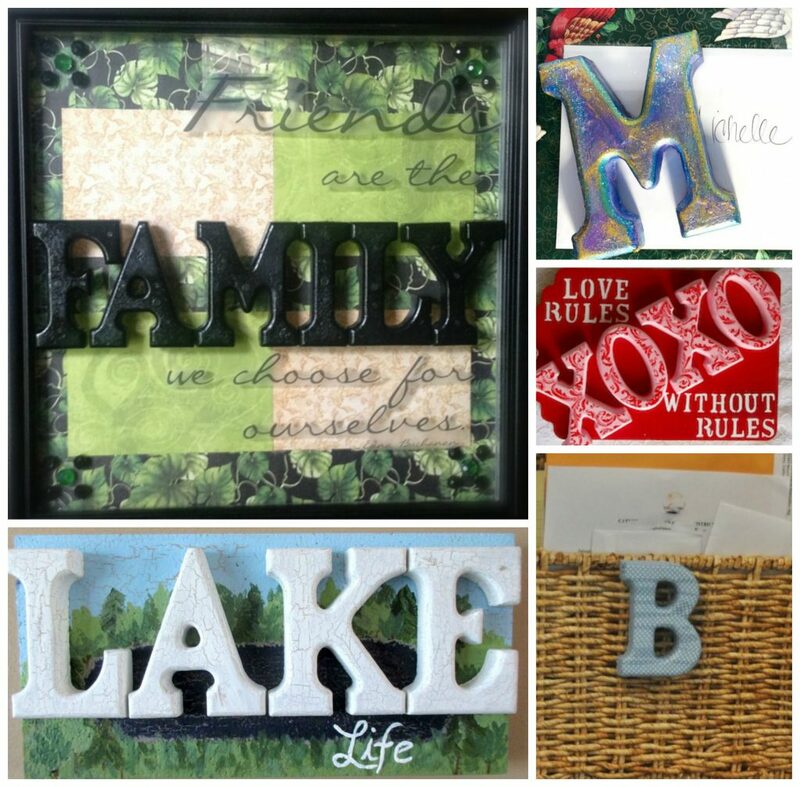 Whether it’s an initial or a sentiment, these block letters add a lot of dimension to your craft projects. Paint them, glitter them, burnish them, crackle them, cover them with washi tape – spelling is more fun with Smoothfoam! 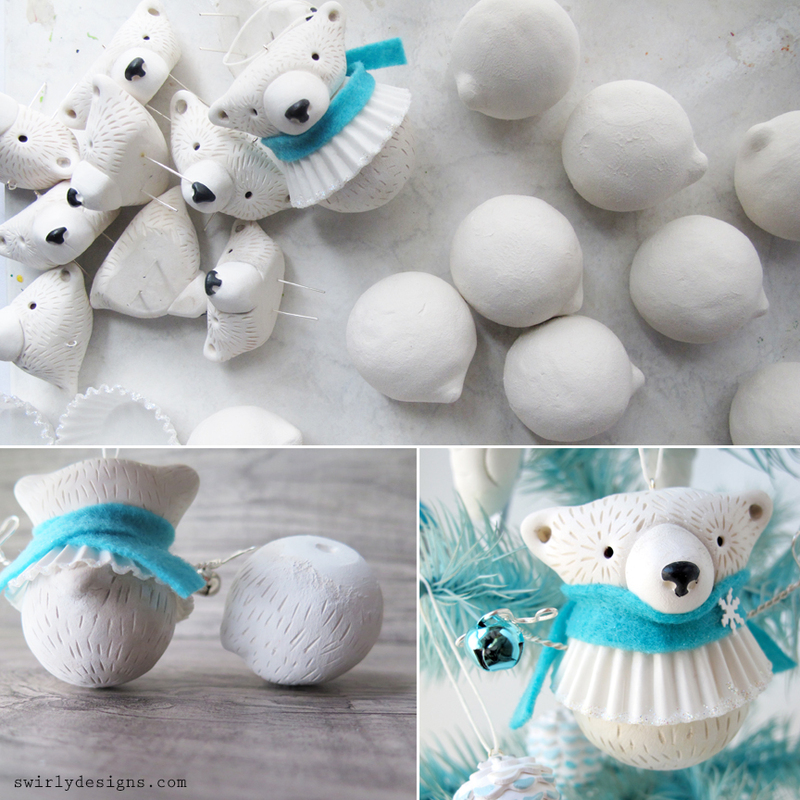 Check out these projects from some of our designers – great for last-minute gift ideas, too. 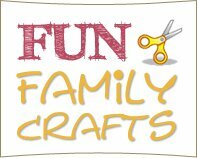 If you make and sell greeting cards in a spinner rack at craft fairs like I do sometimes, this quick and easy card holder project is for you! It’s nice to have the option of featuring a special card or two on a little display cube. This idea is also great for holding a photo, note, business cards, coupons or a postcard on your desk. Or if somebody sent you a lovely handmade greeting card, keep it on display for a while to admire. 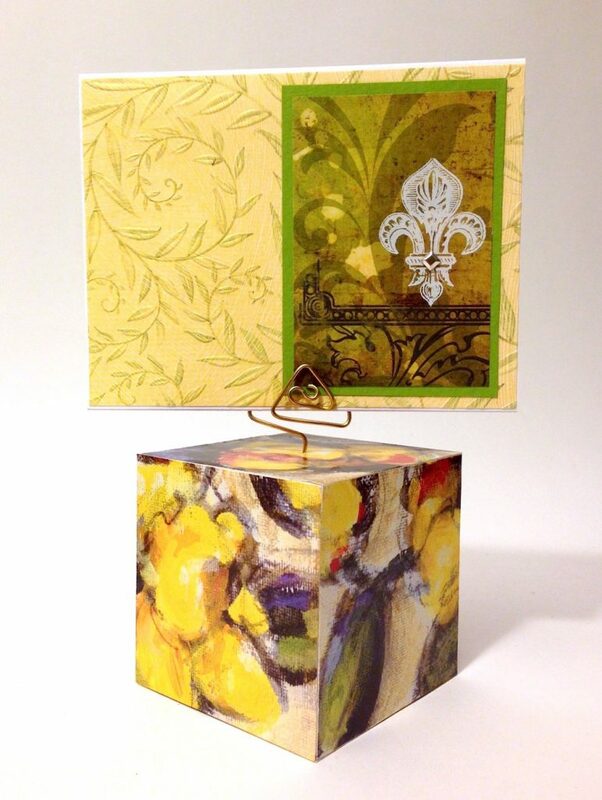 Cut six squares from your favorite scrapbook paper to fit a Smoothfoam cube (mine is 3″). 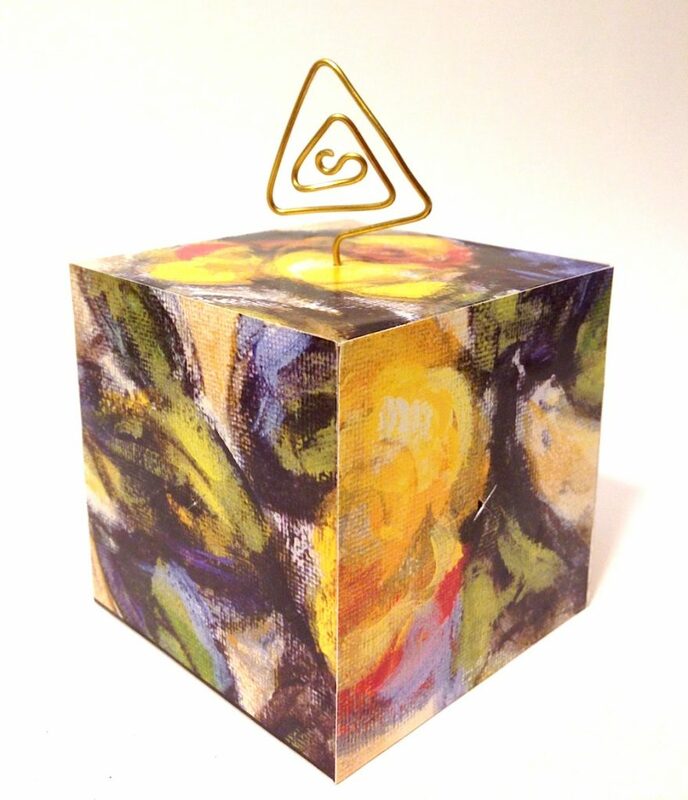 Adhere a square to each side with a regular glue stick – it’s easier to apply the glue to the cube, not the paper. Press the paper down firmly and make sure there’s glue all the way to the edges; let dry. Use round-nose jewelry pliers to bend a 12″ length of thick wire into a coiled triangle as shown, starting from the center. Coat the bottom of the wire with a little craft glue and pierce it down through the top of the cube. Done! I made this holiday wreath in only about an hour! Start by wrapping a Smoothfoam wreath form tightly with ribbon, securing with straight pins in the back. Have fun combining different patterns, colors and textures of ribbon. 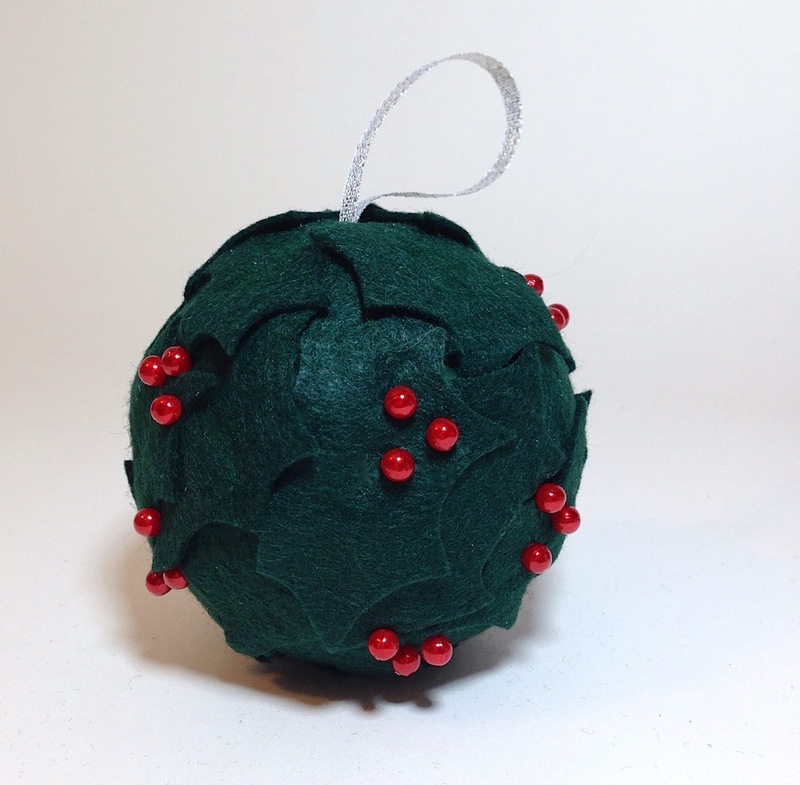 Cut poinsettia petals from strips of red felt and cut a small circle of felt for the center. Position the petals (an odd number looks the best) around the circle and push into place on the wreath form with pearl-head pins. Fill in the center with a cluster of more pins. I glued/pinned more petals underneath, cut from silver sequin waste (aka punchinella), because it matched the silver edges in one of the ribbons, the holes complemented the polka dots in the other ribbon, and because the floppy felt needed something stiff to lean against so the poinsettia would look big and open. 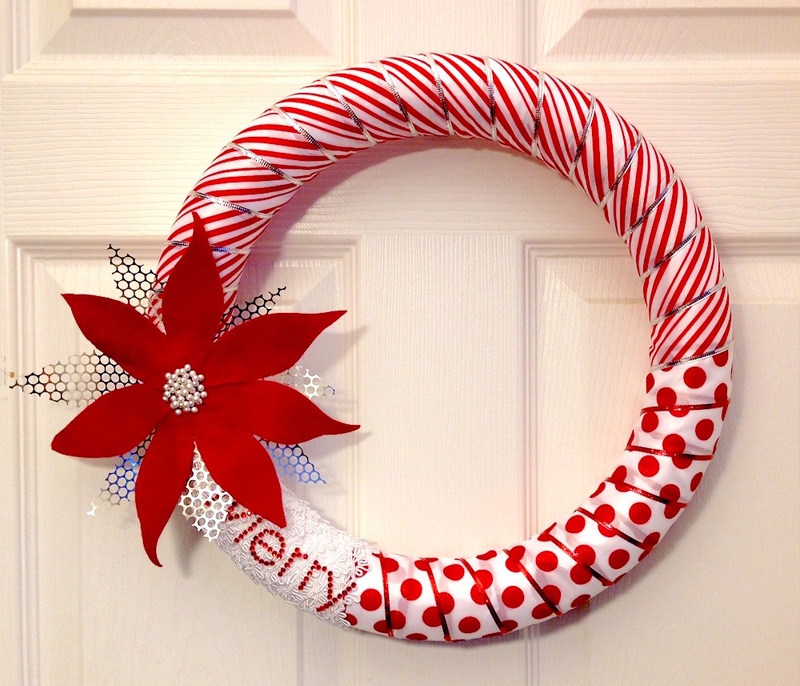 I added a bit of self-adhesive bling on the white decorative trim that spells “Merry.” Very bright and cheerful! 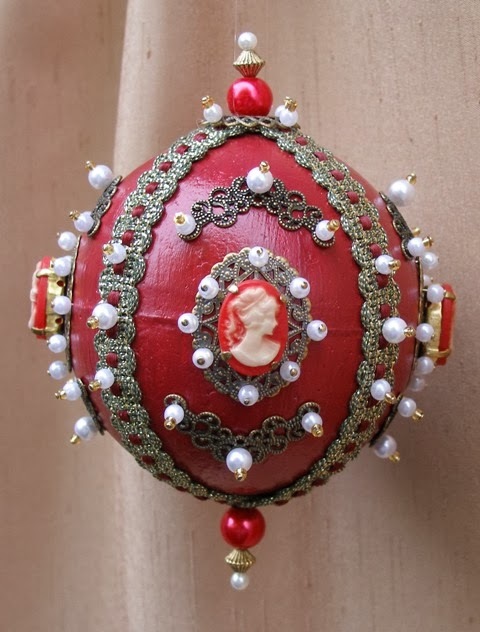 How about making a lovely holly ball ornament for a gift this season? I just love working with felt – it makes everything look so soft and rich. 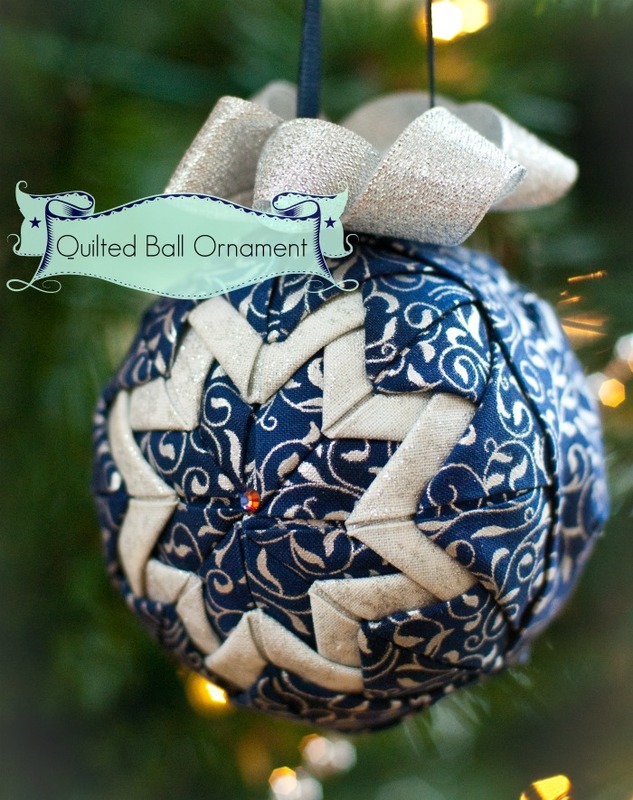 This ornament is easy to make with just a few supplies. 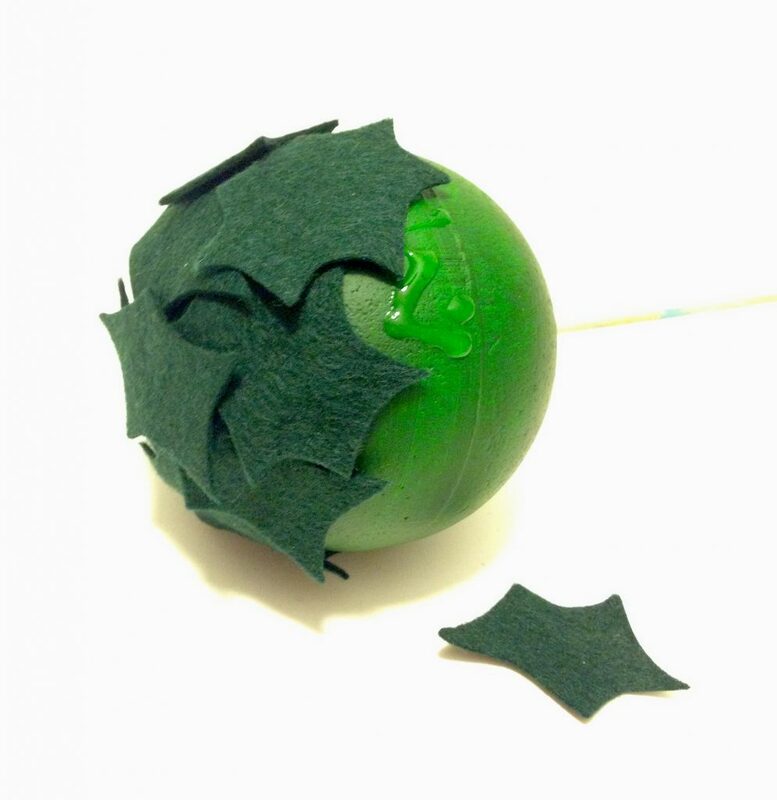 Push the skewer into the pre-drilled pilot hole of the Smoothfoam ball to use as a handle and paint the ball green; set aside to dry. TIP: Keep a scrap block of Smoothfoam handy to push skewers and pins into for drying. Dip the pearl heads of the straight pins into red alcohol ink; set aside to dry. 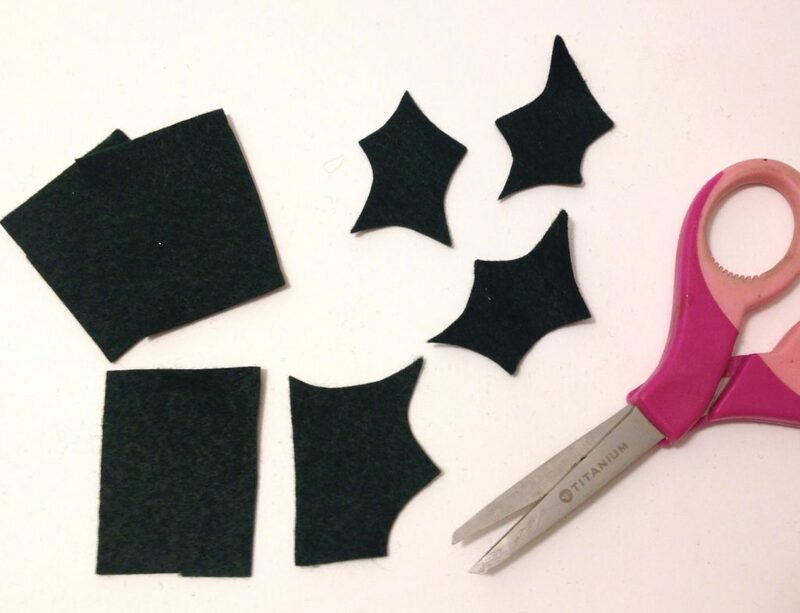 Trim holly leaves out of small squares of green felt. Random points and curves look the best! 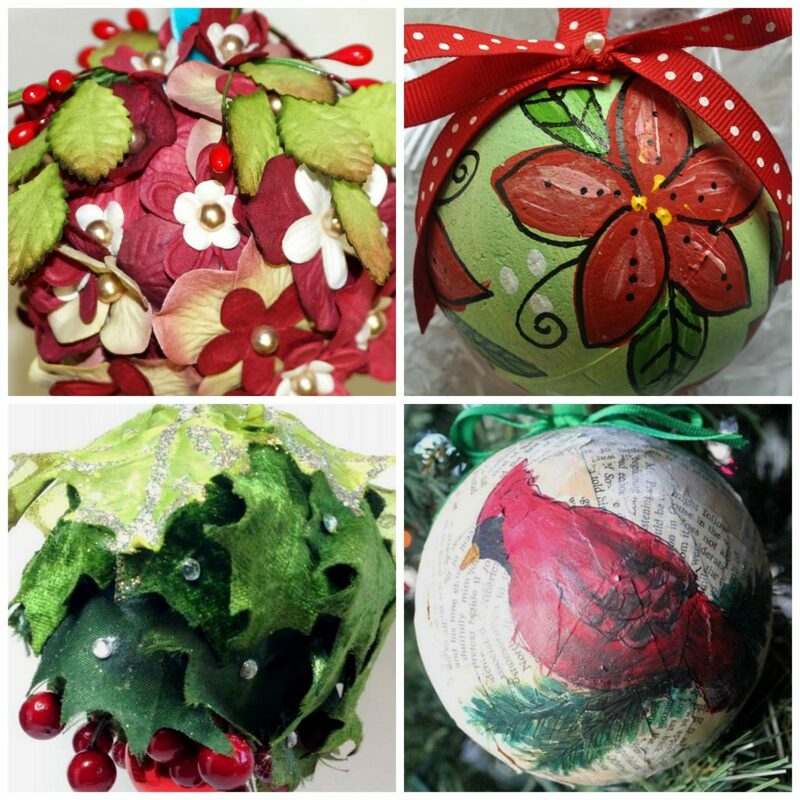 Glue the leaves around the painted ball, overlapping each slightly – leave some the points unglued. Make sure the pilot hole is at the top. Push red pins down through the leaves into the ball in groups of three for berries. Make a loop of ribbon and tie a double overhand knot at the end. Remove the skewer from the ball and squeeze some glue down into the pilot hole. Push the ribbon knot down into the glue with the skewer; let dry before hanging. 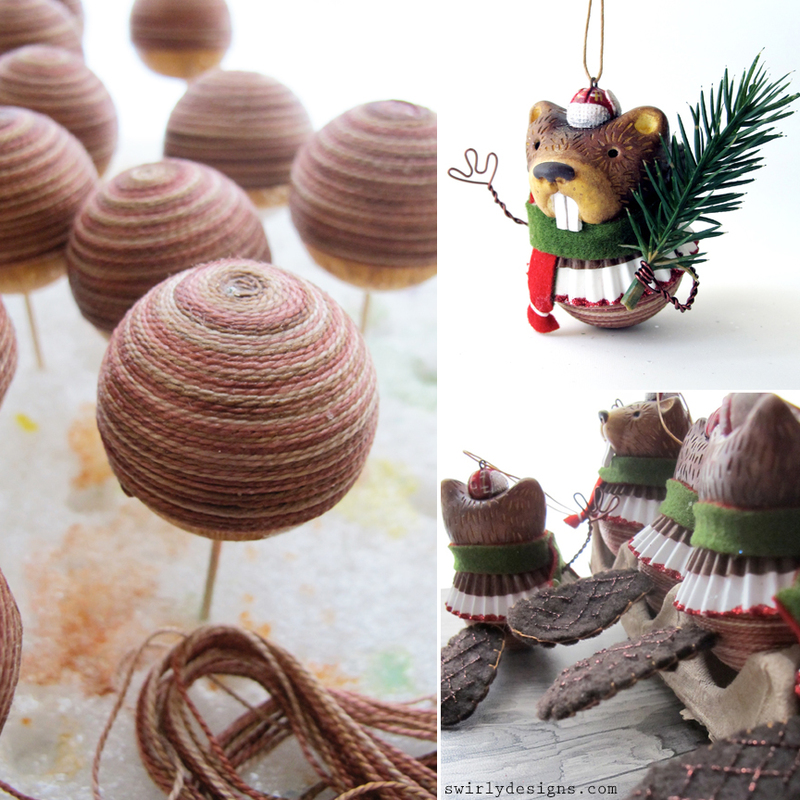 ‘Tis the season for handmade holiday ornaments. 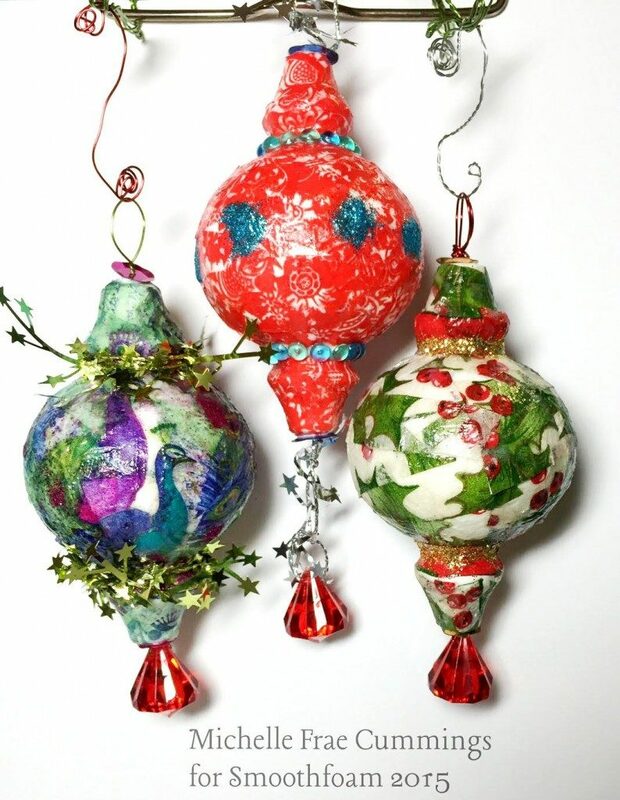 Try your hand at making these red and green beauties to add some DIY style to your Christmas tree! Some cute ribbon, a little felt and a sprinkle of glitter is all it takes to turn a Smoothfoam wreath form into a cheerful Christmas decoration for your front door. 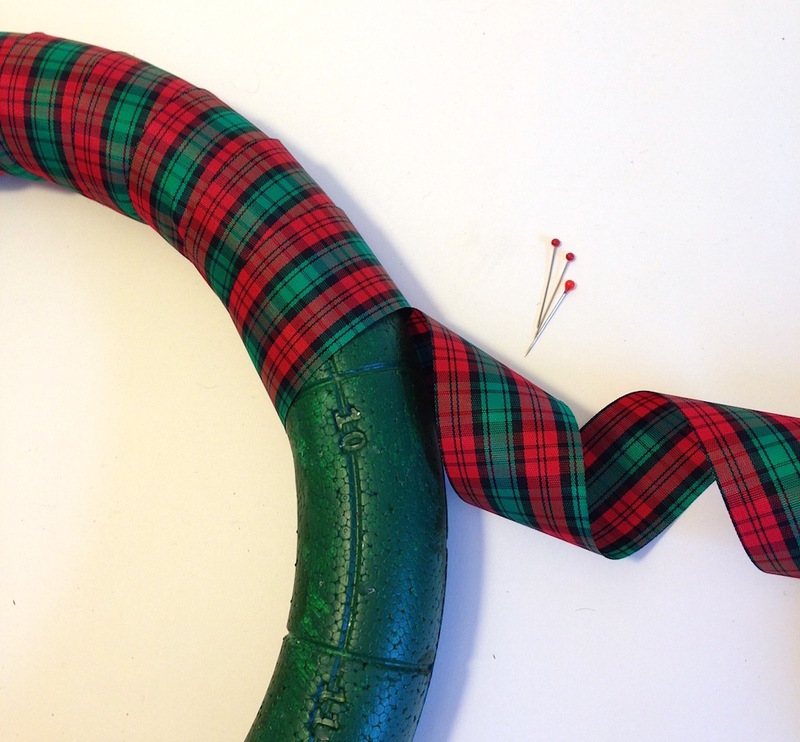 Wrap flat ribbon snugly around a wreath form, overlapping the edges and securing in the back with straight pins. 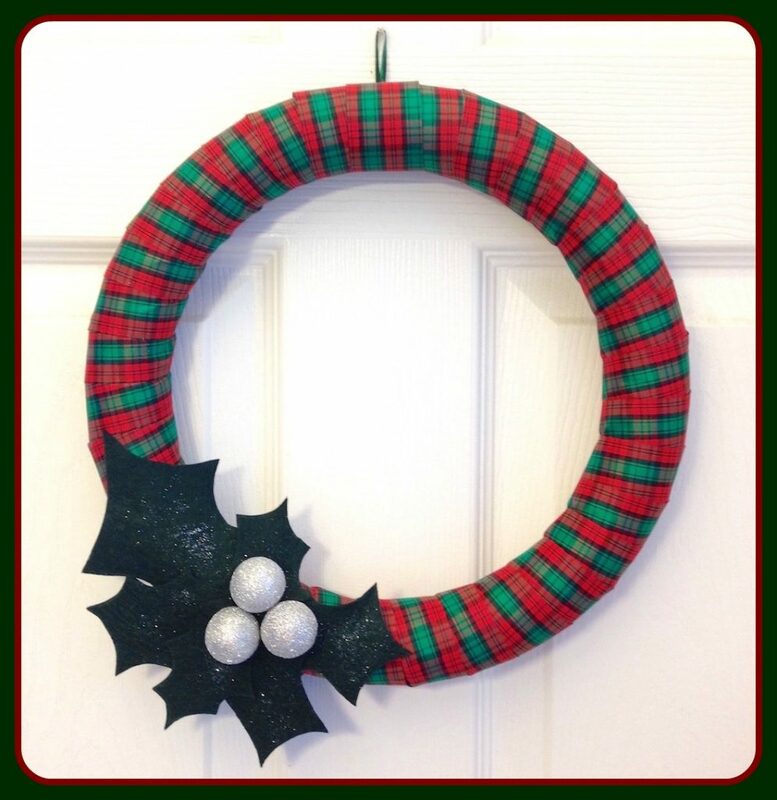 Painting the wreath form is not necessary – I recycled this painted wreath from another project. 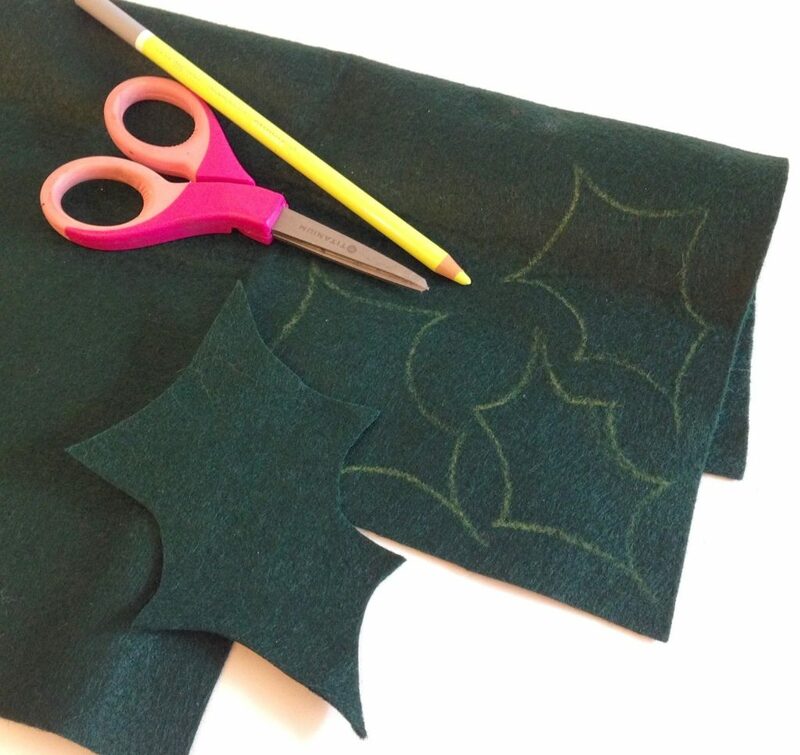 Use a pastel pencil or a crayon to draw holly leaves on green felt, the more random the shapes and sizes, the better! Cut out as many as you want to create a cluster on your wreath. Poke a toothpick into each of three 1″ mini Smoothfoam balls to use like a handle, then brush a generous amount of craft glue all over each ball. 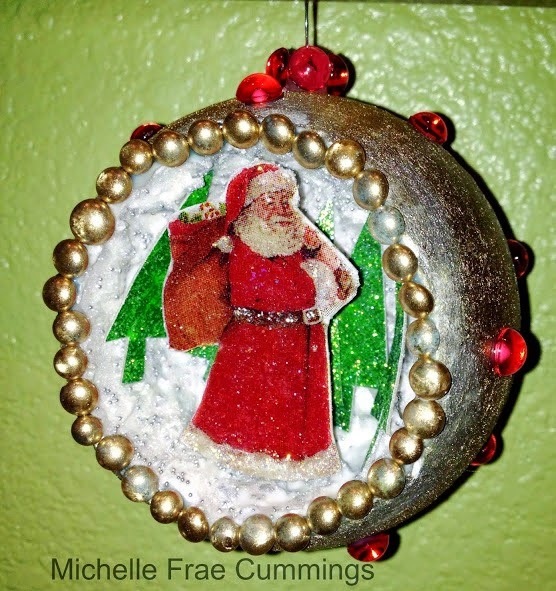 Sprinkle with glitter until fully covered, then poke them into a scrap block of Smoothfoam to dry. Glue the felt holly leaves in place on the wreath and lightly rub a little glitter on top – the nap of the felt will hold it in place. Push the tip of a craft knife into the spot where you want a glitter berry, to cut through the felt and ribbon and make a pilot hole. 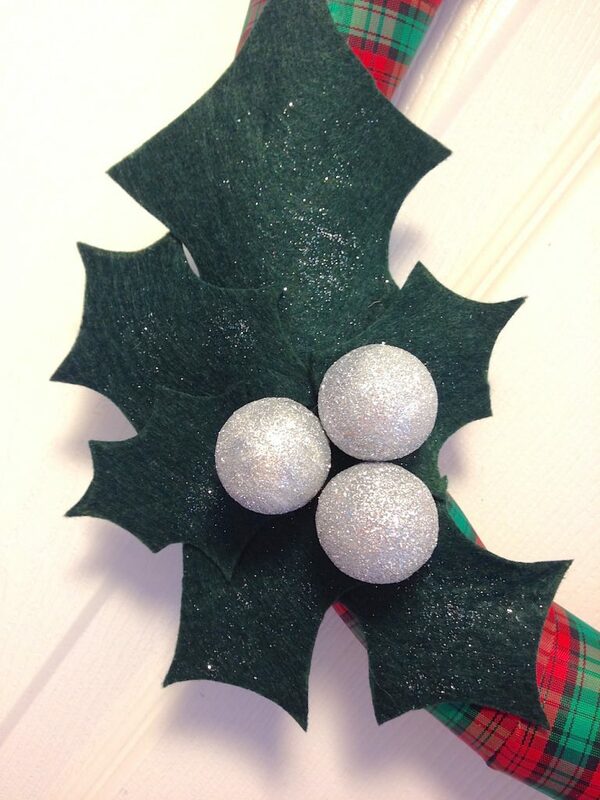 When the glitter berries are dry, poke them into position into the pilot holes on the wreath. 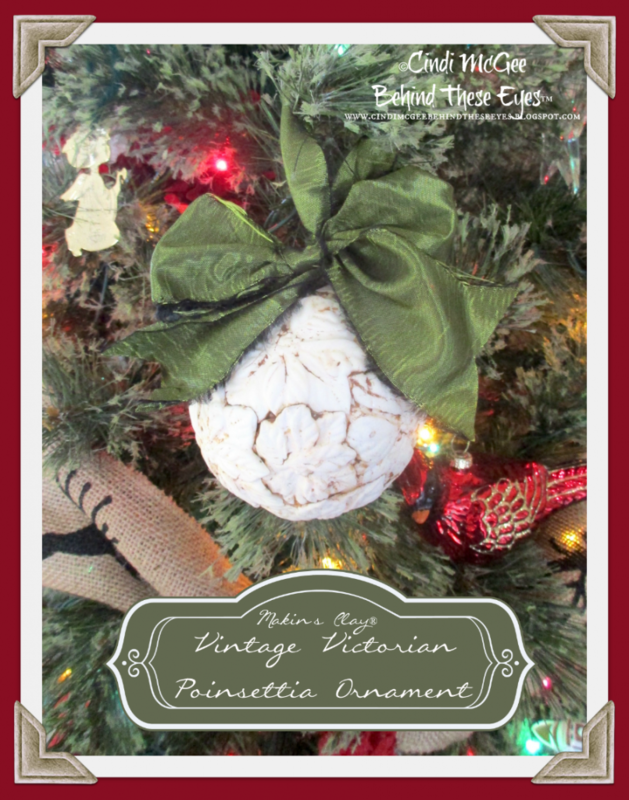 Pin a small loop of ribbon or floss to the back for hanging. We all love the ornaments we remember seeing on the Christmas tree in our grandparents’ (or even our great-grandparents’) home. 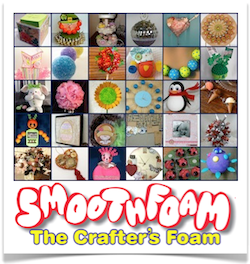 Re-create your family favorites with Smoothfoam balls and some very inspiring craft techniques. 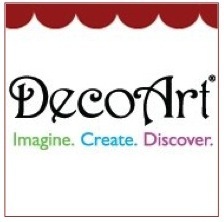 Try your hand at tissue decoupage, no-sew fabric piecing, clay molding and more with these fun tutorials from talented designers. 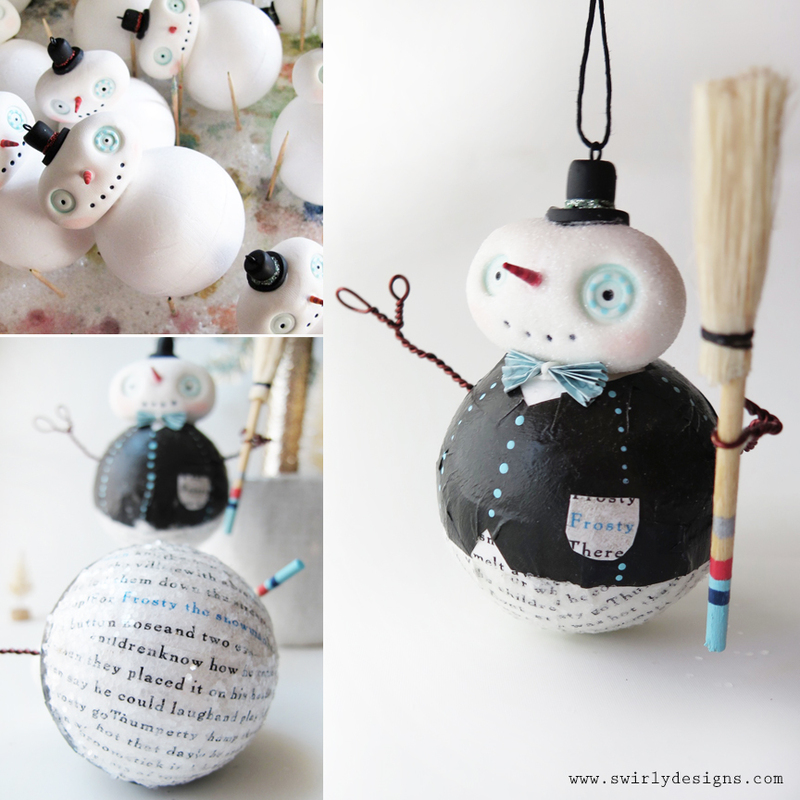 Click on the photos below to learn more about these sweet roly-poly ornaments!